Missed VMworld? Here you will be able to absorb some key highlights from the 3 day show in 3minutes. Intel and VMworld have a close partnership that extends to bring business value to customers and partners alike. Find out what customers, partners, Intel and VMware are doing together on the journey to the Cloud. Robert Rounsevall, CEO of Trapezoid, shows how Intel and Trapezoid help provide end-to-end security for their clients at VMWorld 2012. Simon Aspinall, CMO of Virtustream, explains how Intel TXT is helping Virtustream build compliance and security solutions directly into the software at VMWorld 2012. Eric Chiu, Co-Founder and President of HyTrust, explains the importance of establishing a root of trust in establishing a cloud strategy at VMWorld 2012. Jason Blosil, Product Marketing Manager of Core Software at NetApp, talks about the strides NetApp and Intel are making in virtualization, 10GB ethernet capabilities, and multitenancy at VMWorld. Alex Rodriguez, Vice President of Systems Engineering and Product Development at Expedient, addresses security concerns about entering the cloud, and how Expedient and Intel are facing the challenges and opportunities in cloud security at VMWorld 2012. James Meeker, Global Product Marketing Manager of vStart at Dell, discusses how Dell and Intel are addressing the challenges and change that multitenancy bring to virtualization. Dave Nicholson, Director of the EMC Solutions Group at EMC, gives an update on how EMC and Intel's trusted execution technology are changing the face of virtual management at VMWorld 2012. Alex Yost, Vice-President of IBM System X and Blade Line Center at IBM, showcases the partnership between IBM and Intel in creating the IBM Pureflex System at VMWorld. Leslie Muller, Founder of Dynamic Ops, talks about how you can keep your data safe in a hybrid environment at VMWorld 2012. Brent Allen, Solutions Manager of HP VirtualSystem for VMWare at HP, talks about the latest trends in cloud security at VMWorld 2012. An insightful glimpse into the action of Structure 2012. Oracle Open World is the usually the last big "big data" conference of the year; everyone who is anyone is there. Intel was there and we captured our customers and partners talking about the Intel Xeon Processor E7 family in the mission critical computing segment. IDF attendees from Rackspace, Intel, Ironhorse, Dell and more. Hear firsthand from IDF attendees on newest innovations and future technologies for Cloud & Mission Critical computing, Ultrabooks and more. Meet bloggers Alex Williams (Silicon Angle), Reuben Cohen (Enomaly), and David Kanter (Real World Technologies) as they discuss cloud, big data, Mooreâs law and other key takeaways from IDF 2011. Learn more about Intel's Mission Critical products and technologies and the innovations they have fueled in the marketplace. Hear from Customers Intel engineers, Software and Hardware partners on Intel's Xeon Processor family, and in particular the Xeon E7. You'll see that Xeon E7 based platforms offer breakthrough performance, reliability and availability features to ensure business continuity of mission critical systems running applications and workloads such as Enterprise Resource Planning, Big Data and Database applications. Find out what customers, partners, Intel and VMware are doing together to bring mission critical workloads to the cloud. Intel and VMware: The foundation of virtualization: focusing on choice, compatibility and tools that provide unprecedented benefits to the consumer. 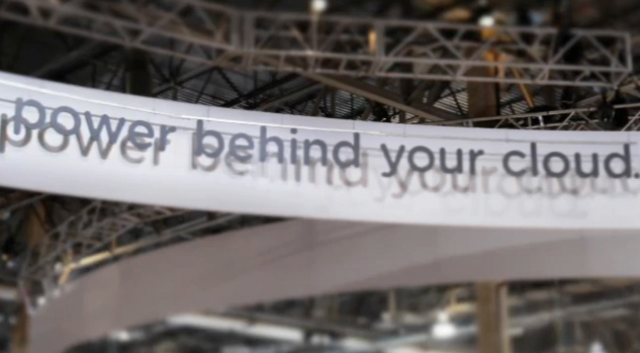 An insightful glimpse into the action of VMworld 2011. Intel’s Data Center group will be sharing information you can use for planning your server and data center needs. Areas of focus will be Virtualization, Business Continuity, Cloud Computing, Next Generation Server Planning, positioning of Intel Xeon and Itanium servers, Multi Core evolution and more.